BMR subframe connectors provide the ultimate in frame rigidity and add to the overall handling ability of the car. 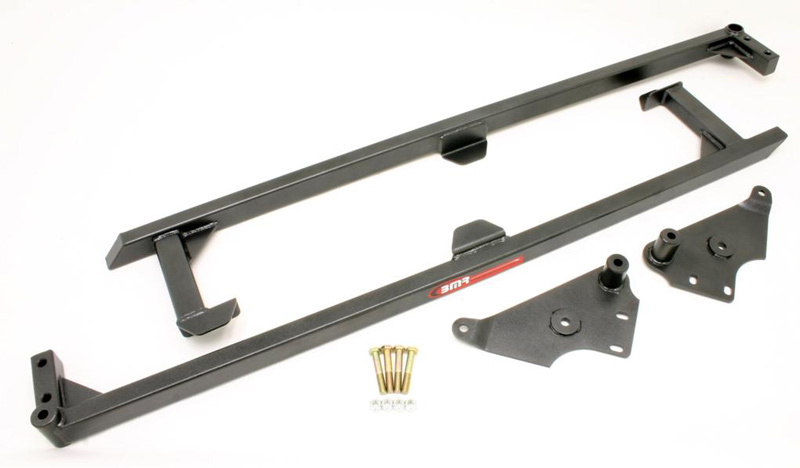 Give your GTO the ultimate upgrade with a set of Weld-on Boxed Subframe connectors from BMR Suspension. BMR subframe connectors provide the ultimate in frame rigidity and add to the overall handling ability of the car. They are manufactured from 1.5" x 2" x .120" rectangular tubing and laser cut, 1/4" mounting and weld plates. The subframe connectors tie into 5 structural areas and provide 4 seperate weld points. The rear mount replaces the factory suspension cradle mount allowing full accessibility to the cradle after the subframe connectors have been installed. Interested in ordering a BMR Suspension Upgrade for your GTO? Call ModBargains at 714-582-3330 to make an order today!